Residents affected by aircraft noise from George Best Belfast City Airport have welcomed a report by the Northern Ireland Public Services Ombudsman, Marie Anderson, which is heavily critical of the failure by the Department for Infrastructure to properly enforce the airport’s late flights rule. The report, published today, found the Department’s failure amounted to maladministration, and made a number of recommendations designed to ensure that the rule, which forms part of the airport’s planning agreement with the Department, is properly implemented from now on. “We have spent years trying to convince the authorities that they needed to take action on this issue,” she said. “Our case was dismissed by the Department but now, finally, we have been vindicated. We hope this will mean that long-suffering residents can finally look forward to peace and quiet in the late evening and night-time. The planning agreement clause states that late flights should not occur after 9.30pm, except in ‘exceptional circumstances’. But the airport’s own figures show that late flights have been occurring, on average, more than once a night, with nearly 500 late flights (497) in 2016 alone. To support its case, Belfast City Airport Watch carried out an analysis of the reasons provided by the airport for more than 200 late flights. It found that, in most instances, the reasons given were routine ones, such as common technical issues, rather than anything which could be regarded as ‘exceptional’ and out of the ordinary. One local person who has welcomed the Ombudsman’s ruling is Sydenham resident, Elizabeth Bennett (77). She lives under the flight path and is a full-time carer to her husband. “Life is stressful enough for me already, and the planes only add to my stress levels,” she said. “I am a foster carer and children have commented on the noise,” she said. “I’ve also complained to the airport, only to have the phone put down on me. “As a family, we find the noise really stressful and annoying,” she explained. “If we’re out in the garden, we can’t really enjoy yourselves properly because there’s planes constantly going overhead and we can’t hear each other talk. “Late flights are especially frustrating because we’re supposed to get a break from the noise after 9.30pm. 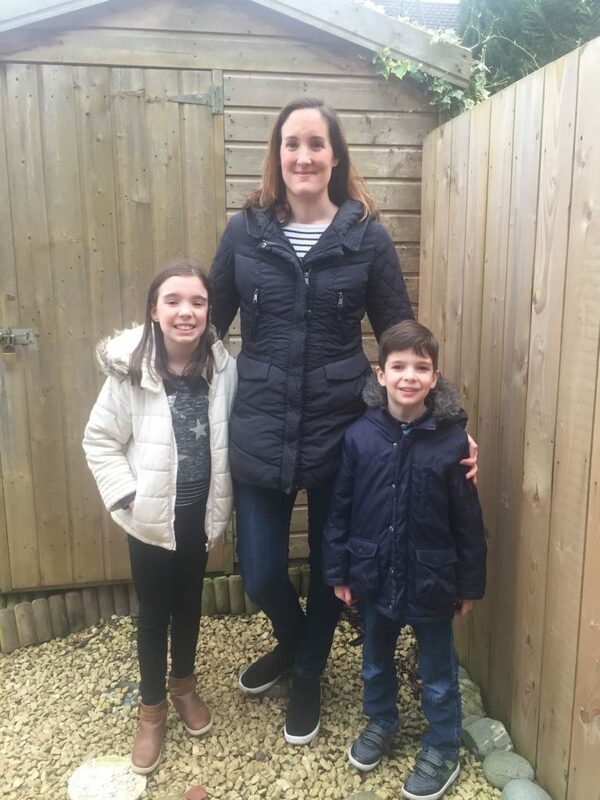 Ravenhill resident, Jessica Barreda, pictured with her children, Chloe (9) and Adam (6), has complained about late flights to no avail. Read the Ombudsman’s findings here.